In economic climates such as these, there are very instruments that provide double digit returns. With the extremely low rates, some countries are seeing charges from banks to deposit funds. Index and other funds are also no longer the risk free return investors have come to expect. 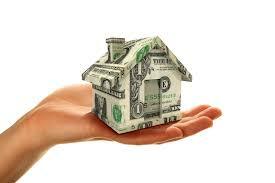 Real estate is one of the few investments if done right, can result in healthy returns. There are two primary conditions that need to be met in order for an investment in real estate to provide the kind of returns we like. This is the more important of the two conditions. Mature real estate markets will not see significant appreciation. In order to see the kind of return we are looking for, look for property in up and coming areas. Preferably close to transport hubs and infrastructure. There is a lot of research that will need to go in. Before you actually invest, qualify your plan first. Do a test run of your research and track how your selected property and area do over a certain period of time. This will give you a reasonable idea of what to expect from your selection. Unless you are looking to flip a properly quickly, real estate is a medium term investment. In the short term the returns are likely to be lower single digit. In order to maximize your returns, look to divest around the three year mark. There is a point the appreciation of the property will start to slow. That is the point you will want to sell.